CALLAWAY PERSONALIZED GOLF BALLS FREE PERSONALIZATION NOW! Personalized golf balls are a wonderful way to bring a little individual flair to your game. Whether given as a gift or used as a promotional tool, there are tons of ways you can use these unique items. Find custom golf balls at prices that can’t be beat at Carl’s Golfland today. Personalized golf balls make excellent gifts for many different occasions. Is there a special golfer in your life? Give them a set of monogrammed golf balls for their birthday, Christmas, or anniversary! Or, is your business looking to spread brand recognition while honoring its top clients or employees? Custom logo golf balls can be made for your business that will make for an exciting and unique gift. Additionally, you can always buy personalized golf balls as a gift to yourself, just to add some individuality to your game for the next time you hit the course! 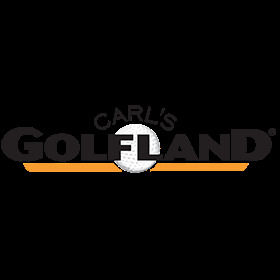 Carl’s Golfland offers personalized golf balls at prices that can’t be beat! Because you can’t give a loved one a low-quality gift, we only carry personalized balls from brands you know and trust, such as Titleist, Bridgestone, Callaway, Nike, and TaylorMade. Whatever your end game, find the custom golf balls you need at Carl’s Golfland! If you aren’t sure which set of golf balls would be best for you, our team of experts is here to help! Simply give us a call at 877-412-2757 and an expert will answer any questions you have.